With our in-depth knowledge and experience of this industry, we are engaged in manufacturing an excellent quality range of Shaft Mounted Gearbox. 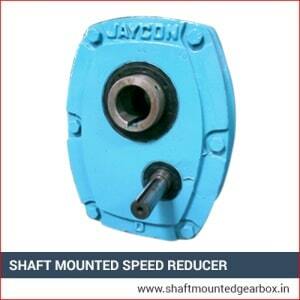 These Shaft Mounted Gearbox products are provided by us in diverse technical specifications, and at a very convenient method of reducing speed. By utilizing current apparatus and forefront innovation, we make these items according to industry laid standards. Our items are broadly acclaimed in assorted enterprises, consequently made accessible in different sizes and shapes. It is regarded among clients because of its simple gathering, fire retardant, warm opposition, control productivity and prevalent conductivity highlights. These items are the sign of value and stylishness. With our one of a kind business approaches, committed work strategies, the way of life of keeping up quality and magnificence in all things, we have built up sound work association with different esteemed business partners which needs to lead us higher than ever and huge customer base. 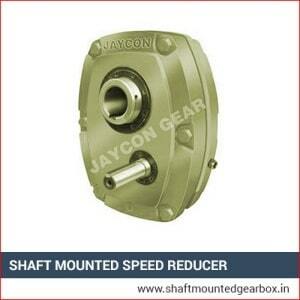 Inspected years ago in this domain, we are considered to be one of the leading manufacturer, supplier and exporter of premium quality of Shaft Mounted Speed Reducer. 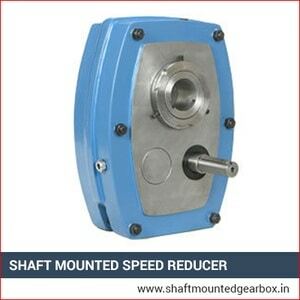 These Shaft Mounted Speed Reducer offered comes with precision construction support and allows for easy connection with different types of motors. Our products are made accessible in diverse configuration as per their needs, and the offered speed reducers also come in high strength finish, compact housing support featuring the use of high strength cast iron that makes the product last long in terms of usage. Few unique features of the reducer include finely carburized, quenched and ground gears and shaft gears for achieving high bearing capacity, suitability for achieving large transmission ratio and low output speeds.